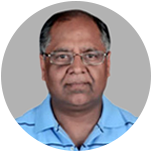 Prof. Dwivedi is a retired Professor of Cell Biology, Howard University, in Washington DC. He serves on many advisory boards including that of Hindu Swayamsevak Sangh and Samskrita Bharati. He is also the president of the International Center for Cultural Studies (ICCS), USA. 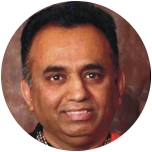 Ramesh Bhutada is a renowned philanthropist, entrepreneur, and CEO of Star Pipe Products in Houston, Texas. 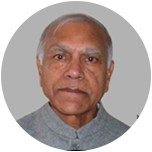 He is the Founder/Director of the Indo-American Chamber of Commerce, Founding President of SVYASA Research Foundation, and is an avid supporter of the Southwest Vipassana Meditation Center. 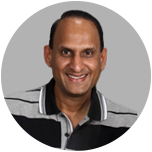 Dr. Goel is a Harvard Medical School trained Interventional Cardiologist. He is the president and founder of the Putnam Heart Center and Cardiac Catheterization Laboratory, Palatka, FL. He has been widely published in medical journals. Dr. Goel comes from a socially conscious family of philanthropists. 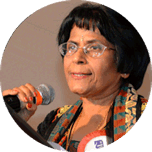 Sarojini Gupta is a graduate of Delhi University and is married to Subhash Gupta. Sarojini has retired recently and she now devotes her time to a lot of causes close to her heart such as promoting the Hindi Language as a board member of International Hindi Association, and she is also on the board ICC India Cultural Center, Houston. She is also an avid supporter of Ekal Vidyalaya and Sewa is her passion in life. Sarojini Gupta was the president of Sewa International Houston from 2013-2016. Under her leadership, Sewa Houston increased programming and fundraising. Dr. Manohar Shinde is a retired psychiatrist who specialized in studying and treating eating disorders in children and adolescents. Dr. Shinde worked with the Eating Disorder Institute of California (EDIC) for many years, and also taught at universities. He is also an eminent Hindu scholar and currently heads the Dharma Foundation, a think tank group. 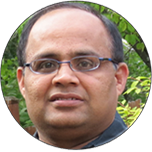 Sridhar Talanki is the Founder and President of Pandit View Software in the Greater Denver Area. He is a well-recognized community leader, and was given the GITEX -2007 Award by the Chief Minister of Andhra Pradesh, India. He is the Hi-Tech Ambassador at Large in the US for the State of Andhra, India (2015-present). 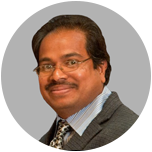 Prof. Sree Sreenath is a professor at Case Western Reserve University, Cleveland, OH. His research is in developing mathematical and computational models for Global Issues, and Mammalian Systems Biology. He served as the Director of UNESCO GENIe Center, and was on the World Water Commission. He is the Director of Case Systems Biology Center and Director of the Graduate Online Program in Systems & Controls. He has a deep passion and commitment to serve in the nonprofit arena. 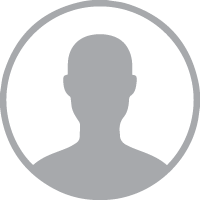 Arun Kankani is the Director of Inventory Management with Star Pipe Products, Houston, TX. He is also a member of the National Executive Team of the Hindu Swayamsevak Sangh, USA. As a certified MBTI trainer, he has conducted many free MBTI workshops for non-profit workers and for families. He has worked in the social sector in India, the United Kingdom, and the United States. He has travelled extensively to many countries in Europe and the Caribbean on work related to social and cultural causes and to conduct training. 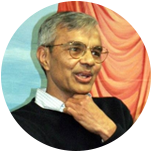 Anil Deshpande has volunteered in the non-profit sector since 1990. He has been the Vice President of Sewa International since 2011, and his team has supported projects and disaster recovery in different parts of the world. 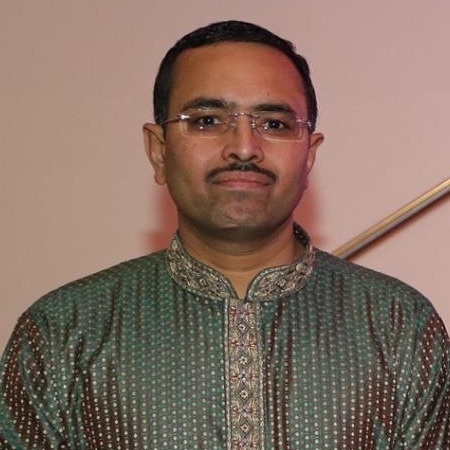 He volunteered at the World Kannada Conference in 2008 and was Vice President of the Vidyaranya Kannada Kuta, Chicago Chapter, in 2009 and President in 2010. 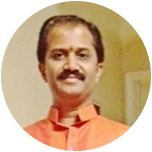 He is on the Board of Directors of AKKA (Association of Kannada Kootas of America) since 2010. His non-profit experience started during his student days in India. Anil earned his MS from the Indian Institute of Science, Bangalore, in 1997. Serving on marketing and development committees, Anil has raised hundreds of thousands of dollars for charitable causes. He is a technology and management consultant and an expert in program and event management. 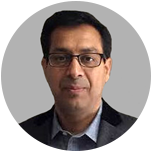 Ashwani Garg is an IT professional and is Vice President, State Street Corporation, in Boston, MA. He has been a social activist for the past thirty years serving in numerous local organizations in Massachusetts. Serving the needy is his passion. Ashwani Garg earned his B. Tech. in Electrical Engineering from IIT, Kanpur and an MBA from Boston University. 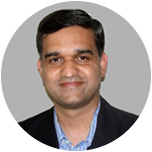 Sandeep Khadkekar is a product & technology leader in the field of software engineering. He works at Apple as Software Architect for iTunes data platform. He is Vice President of Marketing & Fund Development for Sewa International USA. 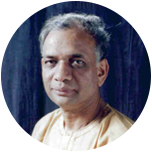 He spearheaded Balagokulam program of Hindu Sewayamsevak Sangh nationally for many years. He has extensively travelled within USA to promote social & cultural causes, develop organizational structure and train volunteers. He earned his bachelor’s degree from BITS Pilani, India. He lives in Bay Area, California with his wife and two children. Syam Kosigi is a consultant in the financial industry in the US. He has a deep passion for service activities and is associated with Sewa International for many years. He is active in local organizations in Delaware and Pennsylvania. He practices Yoga, likes Indian classical music, and is a keen student of world history. He lives with his family in Newark, DE. Swadesh Katoch lives in Atlanta, GA, with his wife and three children. He is an IT Consultant by profession and has been volunteering with Sewa International since its inception in 2003. At present he serves as Sewa’s National Director for 'Bhutanese Empowerment Project' and 'Disaster Relief Activities'. 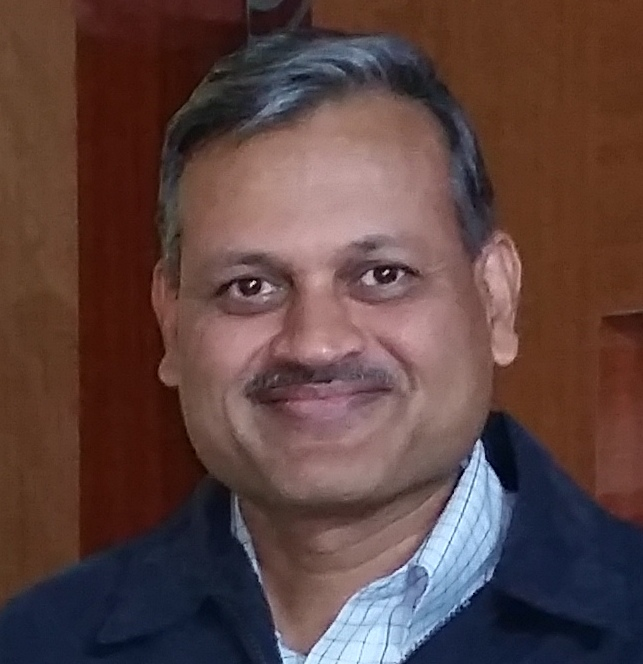 In 2011 the Georgia Association of Physicians of Indian Heritage (GAPI) conferred the 'Humanitarian of the Year' award to Swadesh for his work within the Bhutanese Refugee community. Rakesh Pathak is a Project Manager with Infosys Consulting. He has a dual MS in Bio-Technology and Business Management. He has lived in Atlanta for the last thirteen years and is fond of playing tennis and going for long walks. He has been associated with Sewa International for the past eleven years. He currently looks after the technology/website aspects of Sewa International and volunteers with Sewa Atlanta.